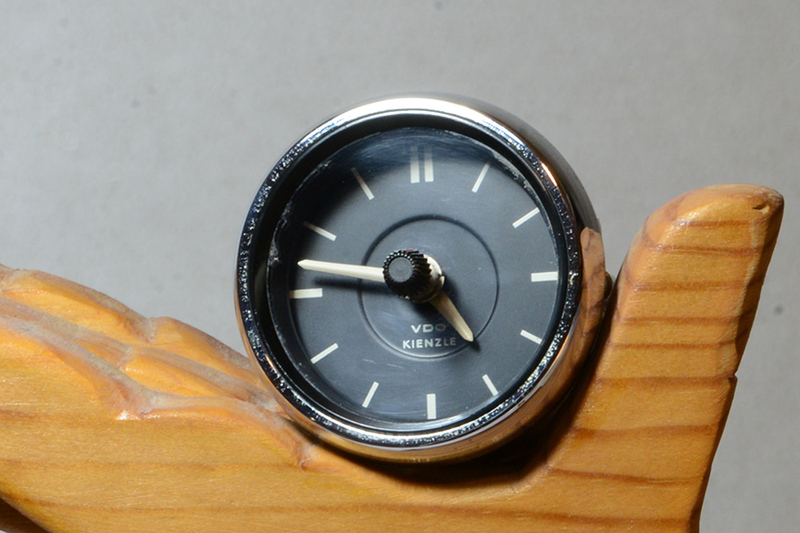 The clock above left side is a VDO Kienzle clock for Mercedes Benz model 180a sedan circa 1955.The clock above right side is from a 190 sedan before restoration. Notice the back of the clock has increased in size to accomodate the rewinding mechanism that runs on 12 volt power. 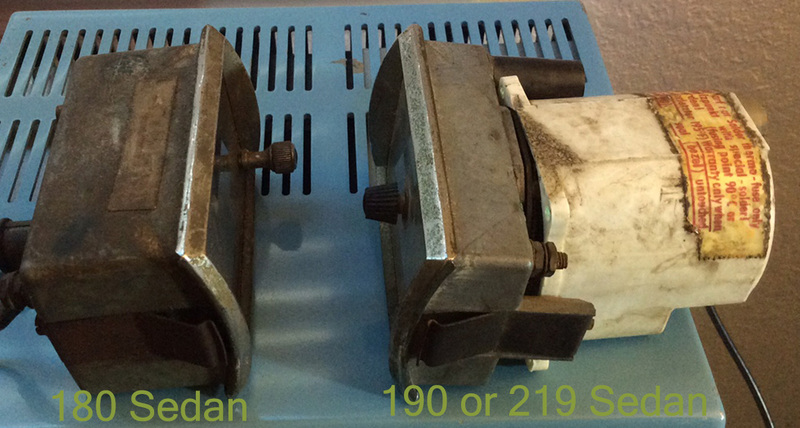 The clocks below are the same types as above after restoration by Jeffrey at Classic Car Clock. The Mercedes Benz 220S and 220SE between 1954 and 1959 used the same VDO Kienzle movement with winding mechanism as the 190 Ponton sedan. 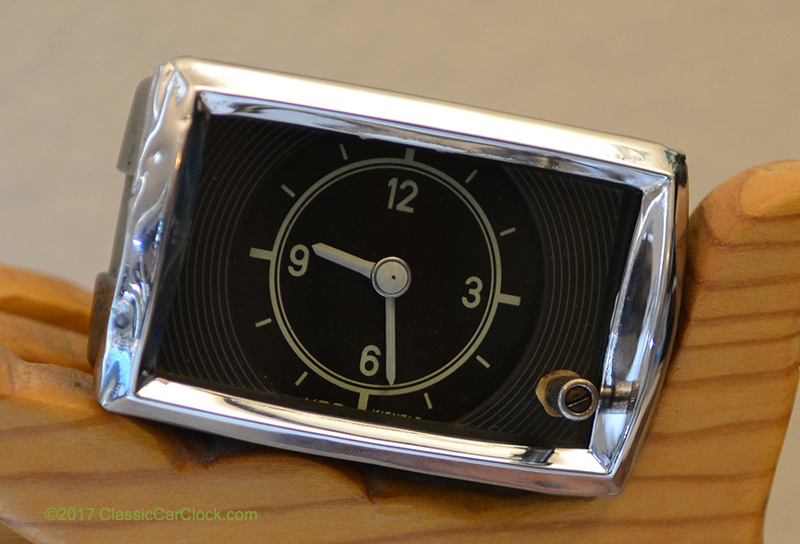 The clock bezel has a trapezoid shape. 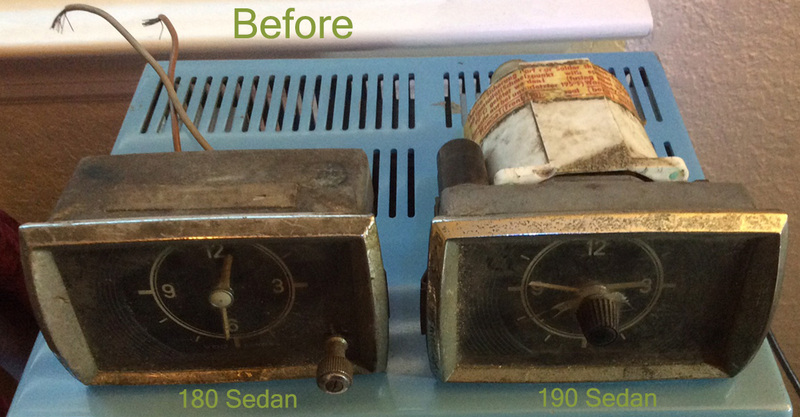 In 1960 the Fintail sedans arrived with a new design that had a smaller winding mechanism and clock movement. This was an incremental improvement over the first generation Ponton movement. The W111 sedan uses the second generation movement. The W111 coupe and cabriolet look the same from the front but use the third and final design of the electro-mechanical clock movement. After 1972, the clocks received a quartz movement and eventually a computer chip with digital read-out. The 300SL with Gull Wings doors and 300SL Convertible introduced in 1955 were amazing. A square clock would not work in the interior design. 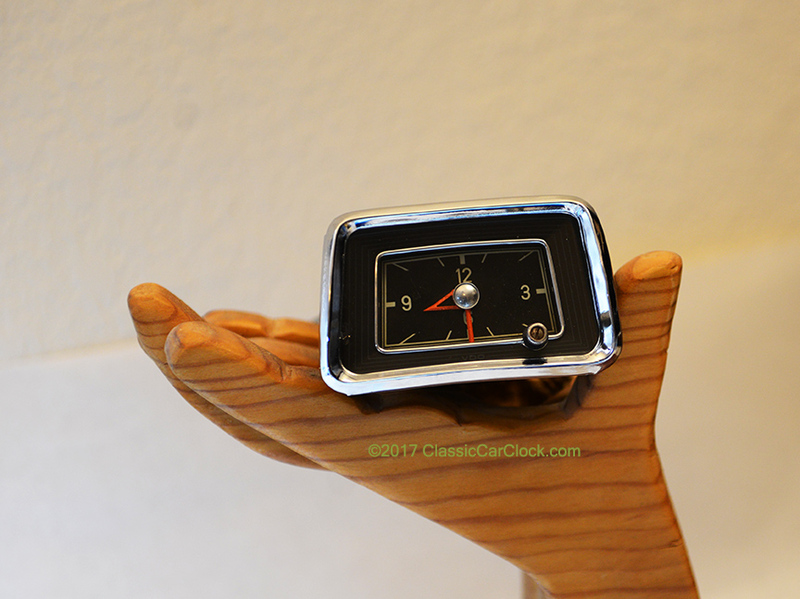 The clock shown at left is actually from a Grand 600 Sedan like the one Elvis owned. 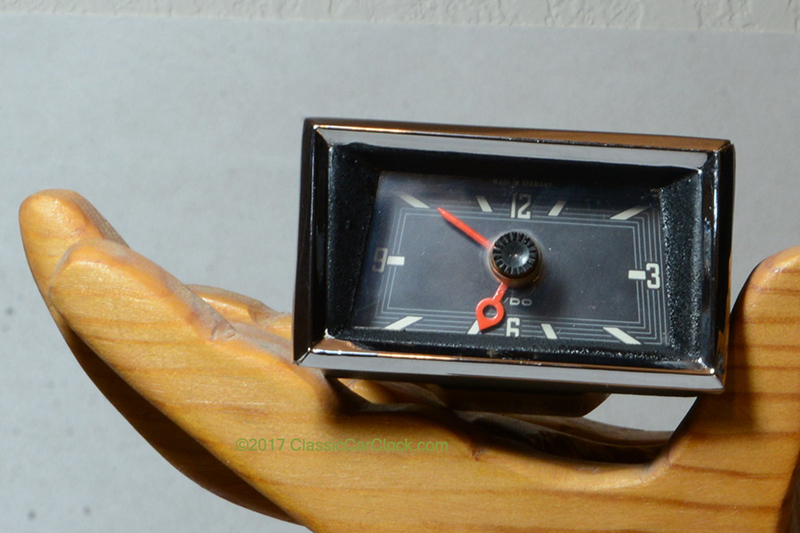 The SLs were the first to get round clocks. The last Mercedes Benz with a square clock face was the W110 chassis 230 sedan in 1967. The W108 chassis contained a round space at the center designed for mounting the clock. 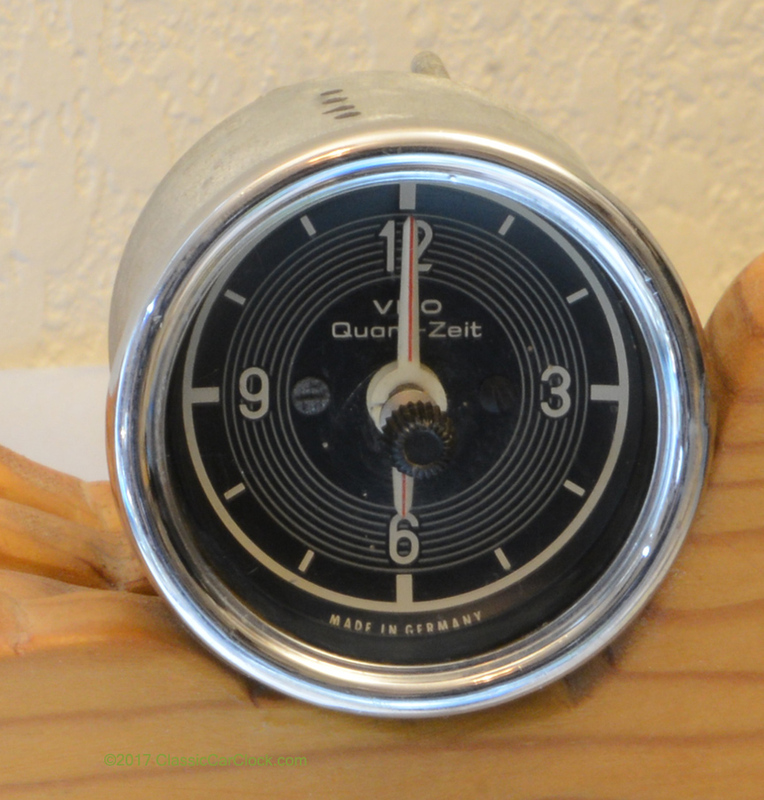 This clock was produced by VDO Kienzle by the millions. The third generation design was for the most part reliable, but still a mechanical movement at the heart that requires lubrication and a clean environment to run accurately.